A lot of phones made their debut this fall and we’ve pretty much seen them all: new iPhones, new Nexuses, HTC One A9 and so on. When we thought that everything was over and manufacturers will be focusing on next year’s models, a Canadian company wants to tell us that they still have to say something in this industry. 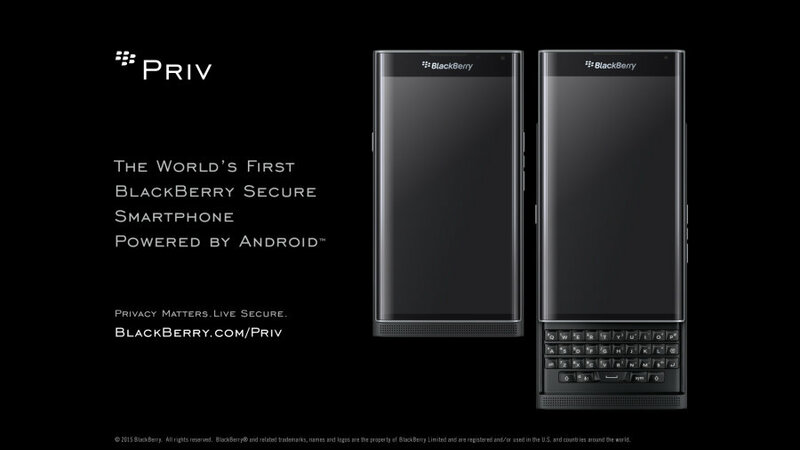 BlackBerry Priv, their first Android-powered smartphone, rumored to make its debut for a few months, will soon start hitting the shelves, as it is already available for pre-ordering in the US, UK, Germany and Canada. The phone managed to create a lot of buzz, and not only due to the operating system, a first for BlackBerry. It also has a very interesting form factor, sporting a physical keyboard and a sliding design, which should make the BlackBerry Priv a potential hit between fans and not only. Is the price a bit too big? As for the price, according to International Business Times, the phone will be available for $699 in the US, 599 pounds in the UK, $899 in Canada and 799 euros in Germany. Definitely not a cheap phone! Also, if you’re living in the US and planning to use the BlackBerry Priv on a CDMA network, like Verizon or Sprint, we have some bad news for you, as it will be compatible just with GSM carriers. The BlackBerry Priv comes with a 5.4″, dual-edged display, protected by Corning’s Gorilla Glass 4 and a QHD resolution of 2560 x 1440 pixels. It’s powered by a Qualcomm Snapdragon 808 chip, alongside 3 GB of RAM. On the back, it has an 18 MP Schneider-Kreuznach camera, with optical image stabilization and able to shoot 4K videos, while on the front it relies on a 2 MP snapper. The battery has a capacity of 3410 mAh, while the internal storage capacity, counting 32 GB, can be expanded with up to 2 TB, using a microSD card.